British continental team, Wiggins will use SRAM groupsets and Zipp wheels on its bikes for the 2015 season. 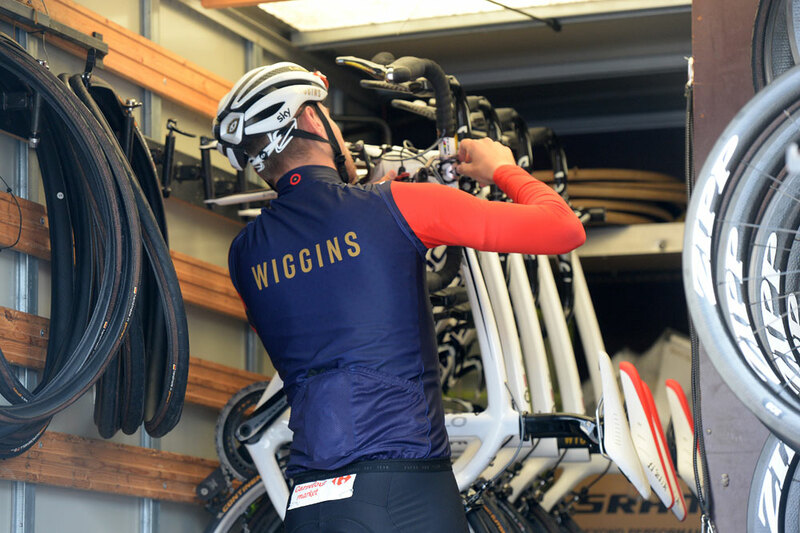 Team Wiggins made their race debut at the Tour of Normandie in March, riding Pinarello bikes then were equipped with SRAM and Zipp componentry. Now SRAM, which owns Zipp, has officially announced its partnership with the team. The team will initially use SRAM’s Red 22-speed mechanical groupset, although in the press announcement, Wiggins mention SRAM’s innovative new products – for which read SRAM’s yet-to-be-launched wireless electronic transmission, which are already equipping the bikes of the AG2R WorldTour team. Zipp is renowned for its pioneering of toroidal section carbon wheels and Team Wiggins will run on a medley of its wheelsets. This includes the 303, 404 and 808 Firecrest wheels as well as the 202 lightweight climber’s wheelset, with a quoted weight of 1180 grams. The 808s have an 82mm deep rim and weigh 1670g, the 303s are 45mm deep and weigh 1335g and the 404s at 58mm deep weigh 1470g. Time trail bikes will be equipped with 808 Firecrest and Super-9 disc rear wheels, which weigh 995 grams. Team Wiggins are already supported by Sky, Jaguar, Rapha and Science in Sport, amongst other brands associated with Team Sky, and rides bikes supplied by Pinarello. Now it has added another key supplier to its partnership roster.